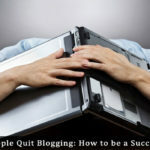 BloggingTips.Guru Blogging What is Cloud Hosting: How Does it Really Work? What is Cloud Hosting: How Does it Really Work? What is cloud hosting? The cloud is the buzzword just now, but what is it and how does it really work? In order to understand that, you must first be able to envisage what this ‘cloud’ is. Our purpose here is to explain the meaning of cloud hosting, and how you can use it to your benefit. Let’s first be clear on what the ‘cloud’ is. In essence it is a collection of servers that can be used to store data between them. Thus, if one server is full then the remainder of your data is stored on another server. It has nothing to do with meteorology, but is related to a collection of servers that can store your data offline, ready to be accessed when required. A. You share your electricity supply with a local community that receives its power from a single large generator: a large windmill or hydroelectric dam for example. The electricity generated from this source is shared between all members of the community. There are usually no restrictions on use because the generator is big enough, but there might be a power cut if there is a sudden spike in demand. You pay a set amount for a share. B. You pay more to get your own share of that available power. A specific windmill might be shared between a number of people, but each person is guaranteed their own part of its power output which cannot be affected if somebody else exceeds their own allocation. C. You pay even more to get your electricity supply from a single source, such as an individual windmill or generator. All the power generated from that source is yours, whether you use it to its capacity or not. Nobody else can use it. D. You pay a small sum (standing charge) to join up with a grid – which is how most people get their power today. The power generated by all sources of electricity is fed into the national grid and available to everybody that signs up with an electricity company. Each individual pays only for what they use. A: This equates to shared hosting, where you share a server with many others. B: This equates to a virtual private server (VPS) where you are allocated your own part of the server for your use only. C: This equates to a Dedicated Server, where you are allocated an entire server for your business. D: This equates to cloud hosting, where everybody shares the communal availability of server space. If one windmill or power station breaks down, you will normally not be affected. The grid/network of servers takes up the extra demand. Standing Charge: Just like you will pay a set sum for the maintenance of your electricity supply (standing charge) you do the same with cloud hosting. You pay a monthly sum for your hosting, even if you never use it. Just like power, you then you pay more according to the how much you use. You cannot register for this type of hosting and then just pay nothing if you don’t use it! You must always pay that monthly standing charge irrespective of usage. Cloud hosting is an alternative to shared and dedicated server hosting where website and data are stored on a single server. Hosting on the cloud involves multiple servers connected to form a vast network of data centers, frequently situated in multiple locations. As explained above, you do not lose data if one server in the cloud crashes. That’s because the same data is stored in a number of places. If any individual drive fails, then you have no need to worry because many others are storing the same data. It equates to one electricity generator failing: it doesn’t matter, because others are still generating power to meet the demand. This division of data is central to the cloud hosting concept. If cloud hosting still sounds difficult to understand, then think of several web servers that can between them hold all the files and applications needed to run your blog, with each data byte being stored on multiple servers. If one server fails, your data can still be retrieved from the cloud of servers, which between them are responsible for providing your blog data on request from you. With cloud hosting, you are no longer relying on one server functioning correctly for the integrity of your data. Try to image a cloud of data circulating in the web, where your portion of that is available only to you. If part of the cloud disappears, your data is still there and can still be accessed and retrieved. It is not held on just one part of the cloud and lost if that part disappears – as clouds do! Why Change to Cloud Hosting? 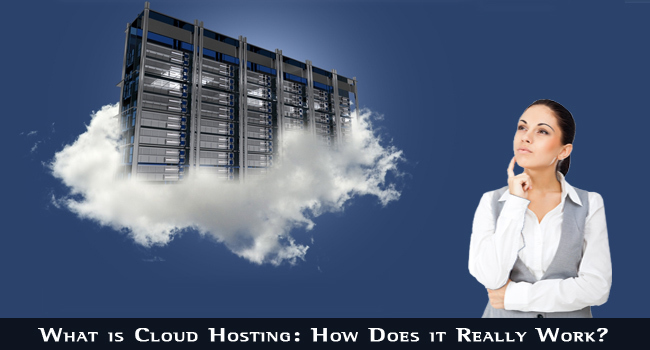 You are likely thinking how cloud hosting differs from regular web hosting and how it would affect you. What advantages do you get, and why should you switch from regular to cloud? Sure, you get more reliability and uptime and your data is always available when you need it, but if you have never had downtime with your regular service, then why change? Pay as You Use: One benefit is that the cloud is a service: apart from a small monthly fee, you pay for it only when needed. It is not a product you pay for whether you use it or not. You tap into the cloud whenever your site needs it, and pay only for what you use. If you have a spike in demand, it is there for you. If you have a period of low demand, then you are not paying for what you are not using as you have to do with regular web hosting. Improved Reliability: There is a vast resource of space available. Let’s say a server goes down. With shared hosting you would experience downtime. Not so with cloud hosting: yes, the overall resource will be slightly lower but this will not affect any individual website. There is sufficient virtual server space available to take the strain. The larger the cloud the less effect even multiple downages will have. Flexibility for Load Spikes: Unlike a shared web hosting account, cloud hosting is highly unlikely to run out of server space for your site – whether that is a blog or a traditional website. If you need space for a new software application (app) or a sudden increase in traffic then it is instantly available. 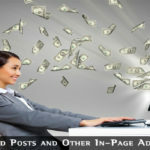 Load spikes are taken in their stride with no effect on the performance of your blog. Instant Response to File Transfer Needs: You may require increased bandwidth (file transfer capacity). This need can arise because visitors are downloading more of your products, watching videos, or when there is a general upturn in file transfer volume between sites. That increased bandwidth is available on demand – as soon as you need it, without any slow-down in your service. You only pay for what is used in spite of this instant response to your needs. Security: Cloud hosting services still involve the use of physical servers, but they are used as a network in a different way to shared, VPS or even dedicated web hosting services. The data centers used are protected by the security systems normally implemented for any form of web hosting service. Security is at least as good, and is usually better than that employed with a normal hosting service. However, because data is stored over a wider number of storage devices security is more difficult to administer and hence tends to be of a higher quality. The upshot is that cloud hosting is usually more secure than shared and VPS hosting. The fact that you have multiple servers storing your data should indicate cloud hosting to be more reliable than dedicated hosting. If you have issues with your single dedicated server then you have nothing to fall back on. With cloud hosting, this would not even be noticed – your website or blog would run off the cloud regardless. A lot depends on your usage: your traffic, website and file sizes and upload/download frequency. Because you pay for usage, a large website that requires a dedicated server might be cheaper staying with that, although it would be more susceptible to downtime should the server fail. In some cases, dedicated hosting would be more cost effective than using the cloud, though the latter might offer more security. That said, many large companies prefer to operate with dedicated servers and trust to their IT staff to look after security. It is with VPS hosting that cloud hosting clashes. For many, the low investment involved in VPS hosting makes it the ideal choice for those who are not particularly concerned with reliability or excessive security. If reliability is not an issue, then VPS is likely the better choice if your server usage is high. Cloud hosting is not a direct alternative to shared hosting because the costs are generally higher. However, if you use a VPS hosting service, cloud could save you money – or cost you more – according to your server usage. With VPS, you are provided with fixed hard disk storage and bandwidth. For example one web hosting service offers 30 GB storage and 1TB bandwidth for around $30/month. You may find others offering cloud hosting at under $5/month, but this is not true cloud hosting. You get a basic allowance of bandwidth and storage space, but can purchase more. What you don’t use you can apply for a refund. This appears to be a very awkward way of applying the cloud concept. A good average cost would be around the $15/month mark. More than for shared hosting, but less than most VPS hosting services. You can then pay for any extra resources you need as you use them. If you feel that cloud hosting suits your needs, then check out the various options available online. Some services offer you the genuine cloud experience, while others charge you just as if you had a regular shared hosting account. They may state that your data is stored in the cloud, but they charge you a set price per month. Doesn’t Matter What You Pay! If you want to take full advantage of this type of web hosting, then it doesn’t matter what you pay when using it. What matters is what you save over not using it! If you are charged when you do not use the service, such as if you are getting your site ready before launching it online, then that is not true cloud hosting. Fundamentally, cloud hosting offers the same resources as VPS hosting, but these resources are paid on-demand. Just as you pay subscription TV movies when you view them, you pay cloud hosting when you use its bandwidth and storage space. You pay an initial charge for each, then the extras are extra! There are several good cloud hosting services available right now, although the technology is in its infancy. One day, all web hosting will be like this, and people will pay for the resources they use rather than a fixed monthly price irrespective of the size of their blog and the use they make of the service. It is good to understand the terms used, and the fundamental principles of cloud hosting services. By understanding what cloud hosting involves, you will not only be informed, and can explain to your friends and family, but you will also be able to make an informed decision yourself. 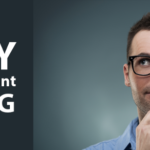 You should not always believe what sales people try to tell you – it’s good to know for yourself so that your decision is based upon knowledge and not mistaken belief! 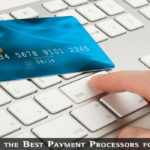 What are the Best Payment Processors for a Blog? To me, I think cloud server is expensive when compared to regular hosting. It only has a major advantage of rare data loss.